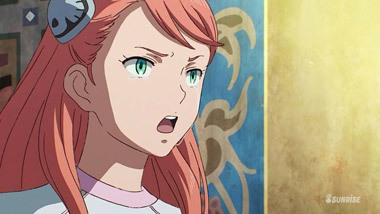 A new Gundam series is always an event in the anime community. 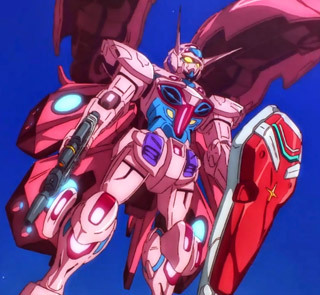 Seeing what Gundam creator Yoshiyuki Tomino will come up with next is always entertaining, whether the show actually ends up good or not. 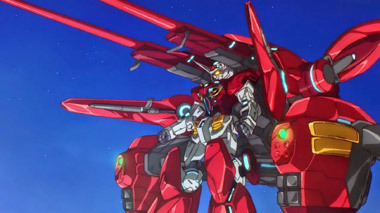 Upon viewing the first three episodes of his latest, Gundam: Reconguista in G, there's definitely something enjoyable deep inside this pile of giant robot insanity. 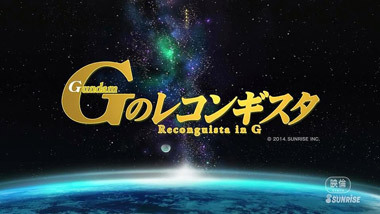 Reconguista in G (abbreviated as G-Reco) is set in the Reguild Century, year 1014. We're thrown headlong into the story as it's happening; a cavalcade of buzzwords and techno-jargo are tossed at the viewer with little context. On one hand, that means we're avoiding the typical lengthy establishing episodes that plague many shows, explaining things ad nauseum -- on the other, we have little clue as to what is happening. What we do know is that the main character, Bellri, a member of the Capital Guard, is caught up in attacks by space pirates. 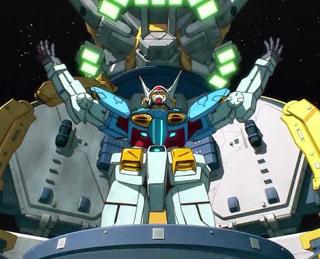 In the battle, he discovers the pirates' Gundam and finds that he is one of the select few able to pilot it. From there, he stumbles into adventure, much like any anime hero would, as they learn about a plot that could change the world. 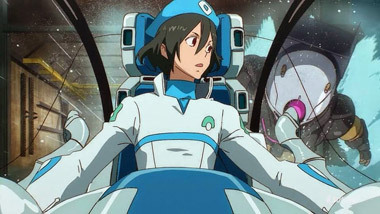 Everything in G-Reco screams "retro." The editing feels like an 80s anime, with its abrupt cuts and elongated character shots. The storyboarding is similar, swinging wildly between beautifully animated shots and slow pans over still art. It all contributes to the show feeling very much like a classic anime, and Tomino's style only enhances that. 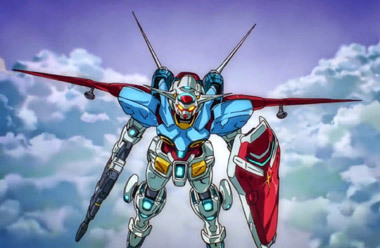 Speaking of Yoshiyuki Tomino, this show is his, through and through. His directorial style is best described as "haphazard" or on good days, "unique." That doesn't always mean "bad" though (well, maybe it does). Instead, it's made entertaining by his ability to make a story that fits with his direction. Don't hate: he's used this formula to create Gundam. 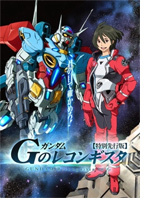 Sunrise is doing an excellent job so far with G-Reco. 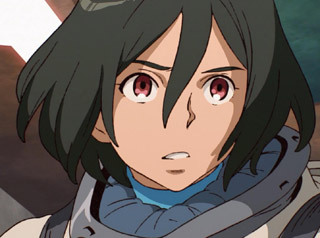 Not only are they rendering Kenichi Yoshida's (Eureka 7) character designs wonderfully, but the soft lines and excellent colors make everything feel warm and friendly. 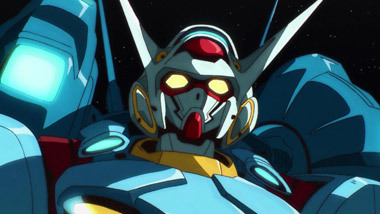 Mechanical designers Akira Yasuda (Code Geass) and Kimitoshi Yamane (Cowboy Bebop) have done excellent work as well -- the design of the lead Gundam is great, as are the various grunts. Sadly, despite all the wonderful art, there are some other downsides. 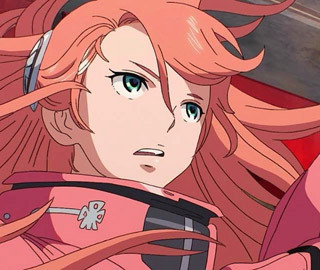 Tomino's retro stylings also apply to the portrayal of women in the show. In episode one, a female space pirate is slapped across the face. It's hard to tell if the show is sympathetic to her cause, especially at the end of episode two when a close friend of hers is killed. Hopefully the series will improve the treatment of its female characters as it progresses. 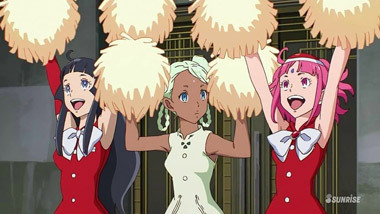 Still, artistically, G-Reco is fantastic. 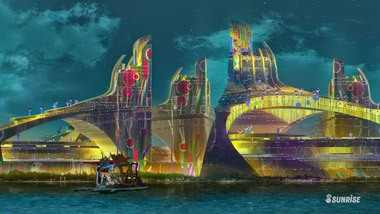 The style and character designs are first-rate, and the animation frequently jumps into the "great" category. 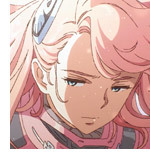 It is hard to know how G-Reco will turn out though, simply due to the unpredictability of Tomino himself. 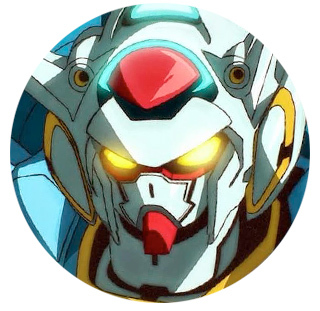 He's known as "Kill 'Em All Tomino" for a reason. 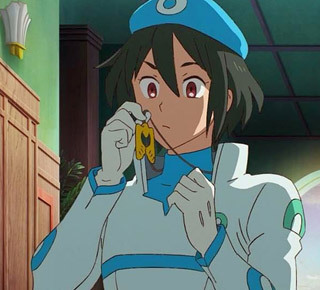 Still, it's difficult to deny that G-Reco's first few episodes are genuinely entertaining, if somtimes baffling. We think it might be worth the ride! 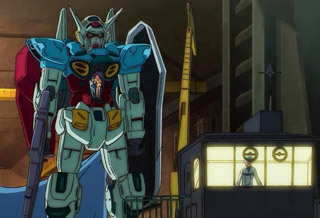 Below: Scenes from Gundam Reconguista in G.